Now that things are going back to normal from the super busy December, Nate and I are back to visiting restaurants on our quest to finding good and recommendable places to dine :). 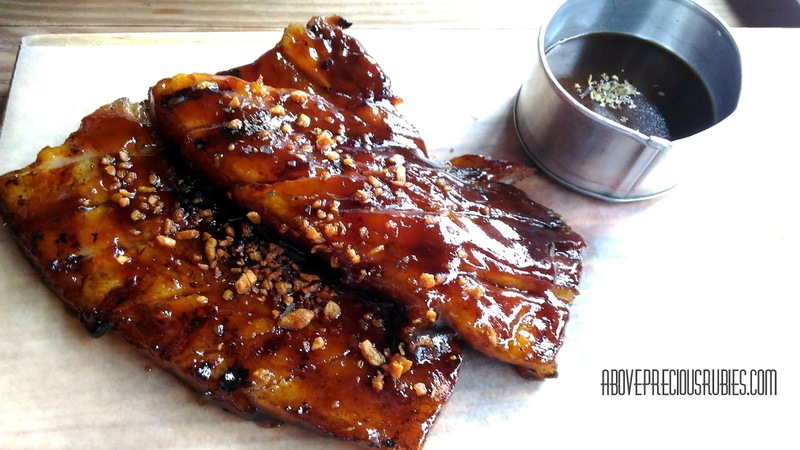 Garage 88 is 2nd on the list this 2016 and I have to say that this restaurant is certainly worth visiting! You know it’s a good place to be with friends when it’s not too formal and you can fool around each other without worrying that you might be at the wrong place. I mean, don’t get me wrong, I know many group of friends who are professionals like to dine on great restaurants too, that’s fine, but I, personally, would rather be in a place that’s not too “stiff” with my friends. I want a place where we can laugh out loud and chill at the same time. 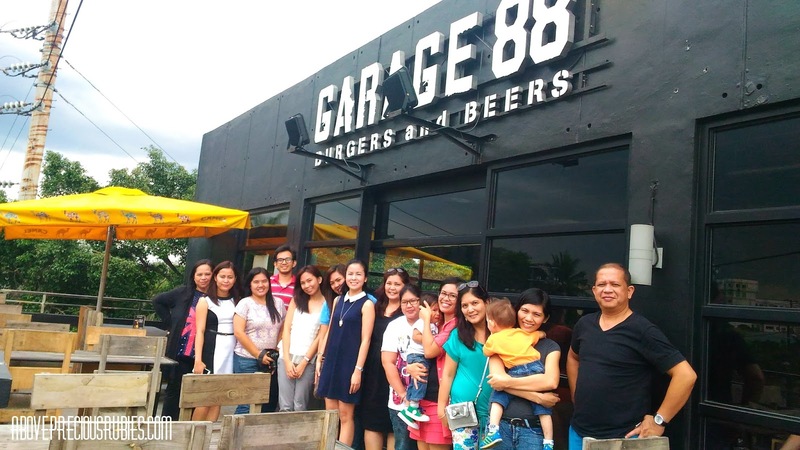 Garage 88 is a place where you can catch up with your old friends, college or high school barkadas, or just anyone you want to have fun with. When we were inside the store, I immediately thought to myself: “Ah, kaya pla Garage ang name!” It literally has that rugged design – I bet men will love this place! Take a look at their setting. 2. The 12 Wheeler Burger!!! Plus, here’s another twist: Finish the 12 wheeler burger yourself in 60 minutes or less, it’s yours for FREE!!! Yup, you read that right! So if you think you’re up for the challenge, go ahead and visit the store now! Haha! I don’t think I can finish this in an hour! But, I know what you think – “has anyone ever finished that in an hour already?” – the answer is YES! Wow! Just wow! 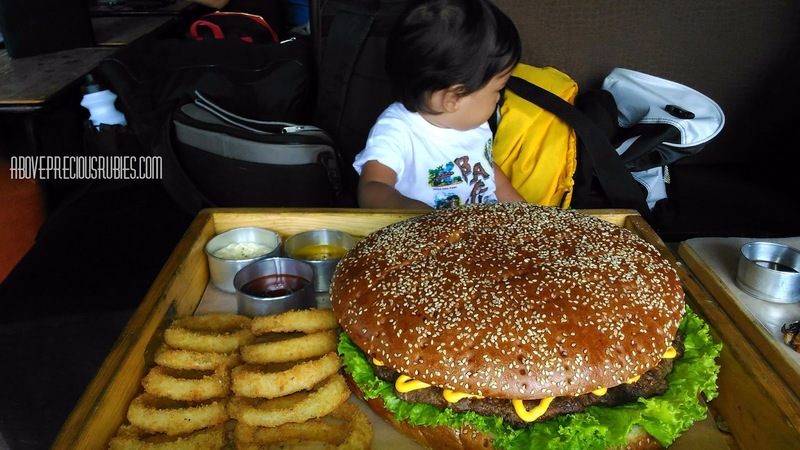 3 people has already conquered this challenge! 3. Don’t want a burger? Don’t worry! 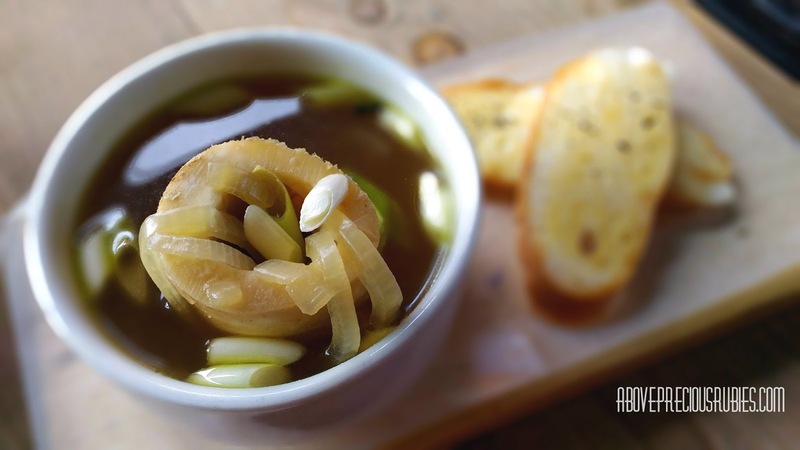 Bone marrow soup (Php 128) – sorry I haven’t tasted this one, but other bloggers say this is tasty. I haven’t had the chance to try. Pulled Pork Carbonara (Php 238) A Garage 88 original creation. This is one of the few flavorful carbonaras I’ve tasted! It’s super creamy and the pasta is cooked right. Nate and I loves every bit of this. Nate keeps going back and asking for more! Chicken wings (sorry, don’t know the price) but if you visit the store on a Wednesday, they have it at just Php 10 per piece! This is finger lickin’ good! I bought some of these at home and paired it with rice, didn’t like it, it’s better without rice. Steal Au Poivre (Php 498) – I call this roast beef. My friend and I loves this dish so much! It’s scrumptious enough for us to almost eat it all! haha. The meat is so soft, and the taste is perfect! Slippery when wet (Php 138). 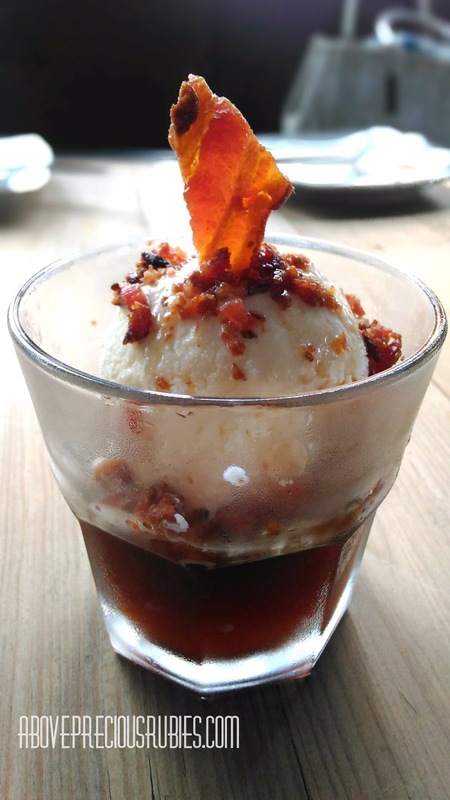 A cup of vanilla ice cream with crispy bacon bits with maple syrup, served on a rum infused coffee jello. 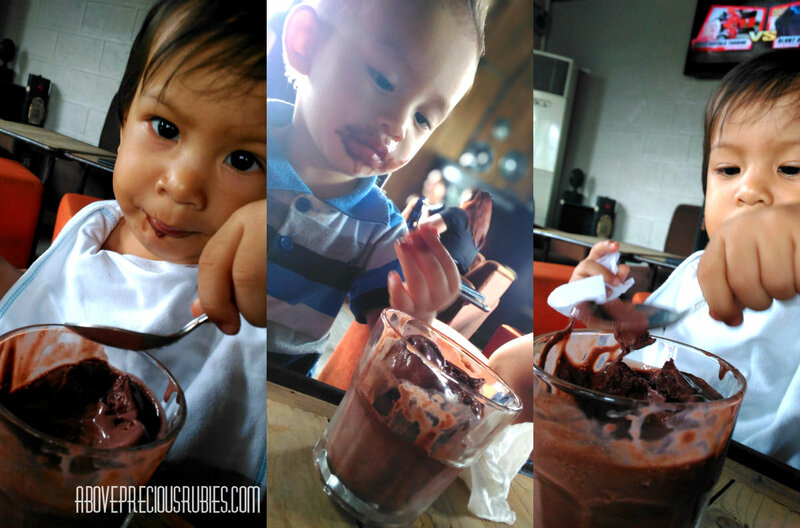 Nate loooovess this one too, he loves all types of ice cream! lol! I didn’t know it has rum at first so I’d always give him, then Ms. Kristine said it has rum and asked for a cup of ice cream for Nate instead! haha. Sorry son! 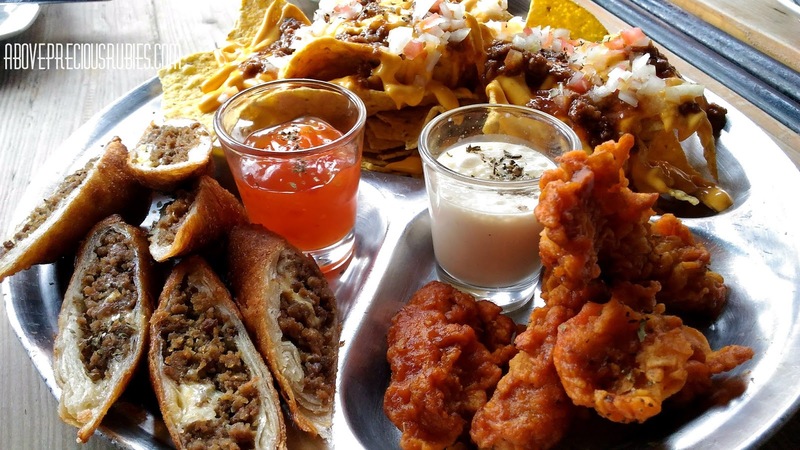 Tri-cycle (Php 388) These are nachos + buffalo chicken tenders + tex mex rolls in one. This, they say is a beer-match, I ate it without a beer paired to it and it’s still delish! I think the chicken tenders and tex-mex rolls are also perfect for rice! 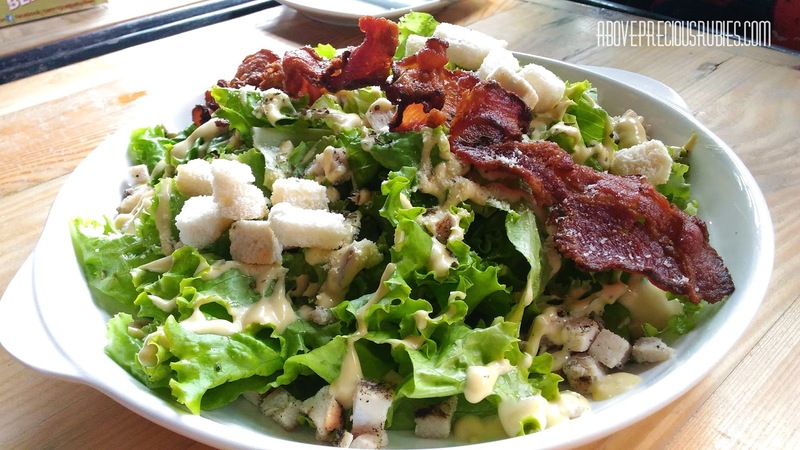 Chicken Ceasar Salad (Php 228) – this is made of crisp salad leaves tossed in Ceasar dressing and topped with croutons, bacon strips, armesan cheese and grilled chicken breast. I’ve tasted this and it’s super nummy! Plus, the bacon on tops completes this dish. 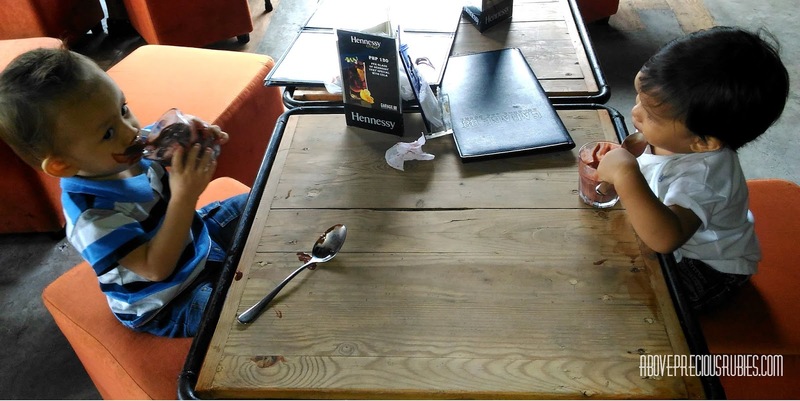 Kids and their ice cream! . Everything they served us are lip-smacking! 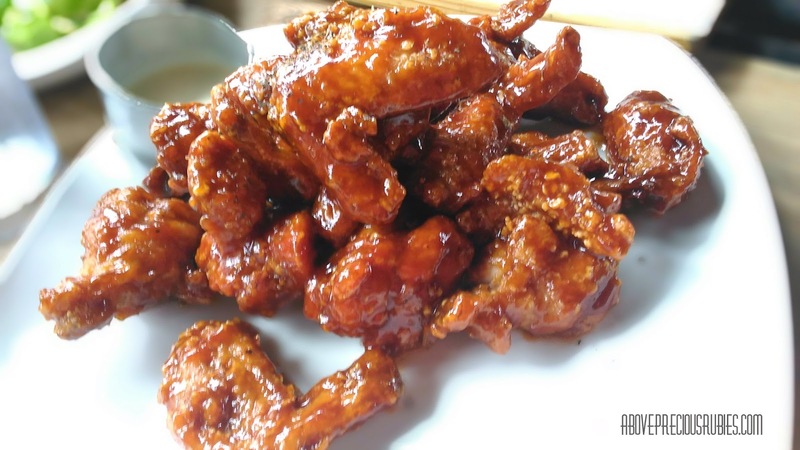 There was just one thing I really wished while enjoying these foods – I wish there was rice! hahaha. Oh, these are so delish (especially with rice! lol)! Try it, you may not regret going here. Garage 88 is a “must-try” – this is the word I can describe the store. 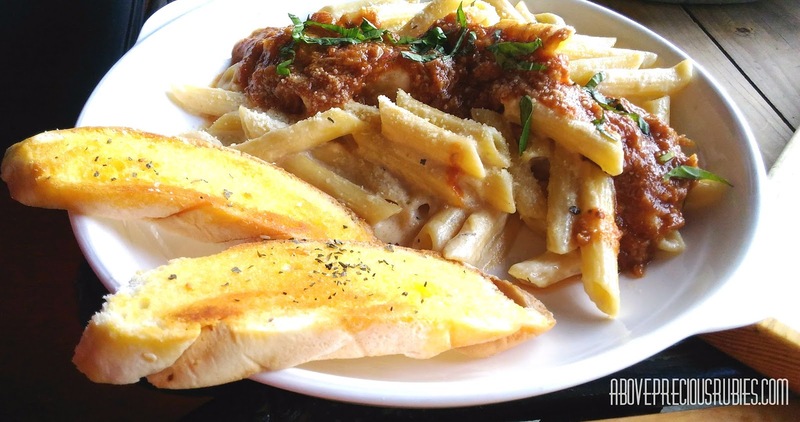 Oh, the foods served are delightfully delectable, specially their carbonara & roast beef, ah, it’s perfect! Plus, the owner, Kristine Soguilon, is so warm and friendly, they even gave us burgers to take home & discount cards for our next visit. 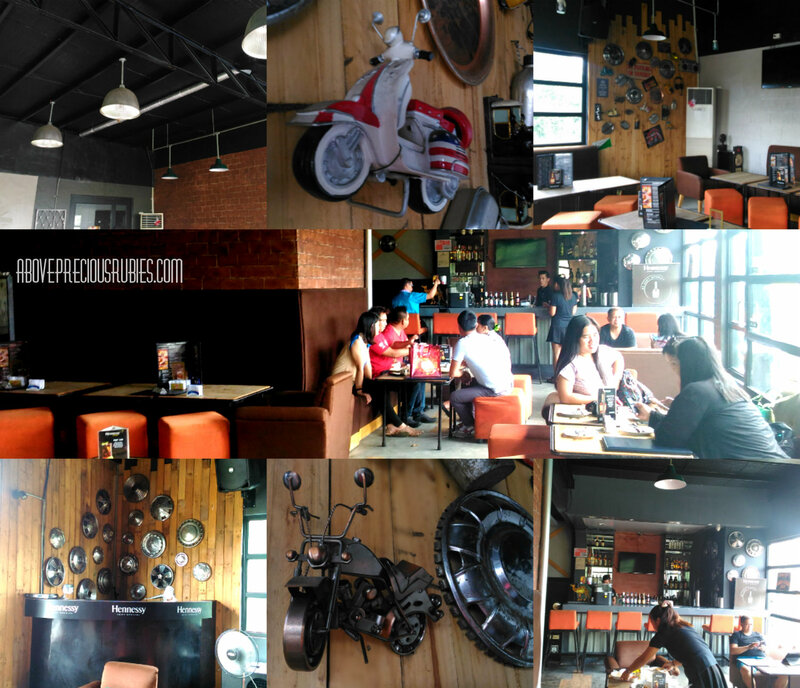 Garage 88 is a good place to spend the hours with anyone you think you want to chit-chat! Have you been here before? How was your experience? If you haven’t yet and you’re nearby, go pay them a visit! *Taken from the SFC company profile given to us. This is one of the appetizing places I've been to, everything is just mouth watering! lol! I'd make sure to finish that burger though. Lol. This place has a cool concept. Would love to drop by here soon. Wow. I'm a big fan of burger places and burgers in general. This is definitely worth a shot. Thanks for sharing this! finish in 60 mins and you get it for free sis! haha. I heard it filed bankruptcy. Maybe competitors are too strong.